With the innumerable amount of electronica records that have permeated online streaming and the shelves of record stores, it is difficult to discover the bands that really stand out. Luckily for Chvrches, they are a band that despite only releasing one EP and two full length albums, are still able to create new sounds and music that are both novel and critically acclaimed. Unlike most of the current mainstream electronica bands, Chvrches still manage to create a different sound with each record. 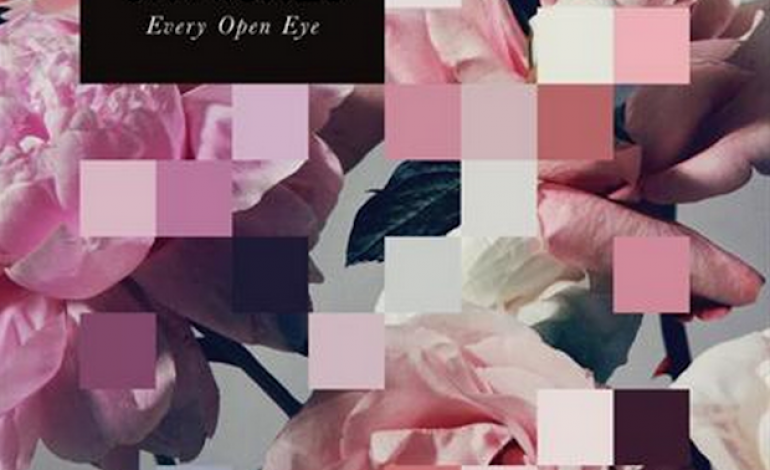 Every Open Eye, the second full-length album from the Glasgow, Scotland based group is a record that is similar to their first, The Bones of What You Believe, but it still retains its own individuality. Yes, it is a synthpop record that heavily features keyboards, drum machines and synthesizers, however, the listener definitely feels how Chvrches have come into their own. That is to say, that they are aware of their brand and the sound they create, but they take that brand and with this record, sound more confident than they did on their first. Compared to their first album, this second record appears to be an indication that they are exploring their sound a bit more. They incorporate heavier beats and Lauren Mayberry seems more comfortable with her voice remaining natural and not manipulated. While the instrumentals on the record are certainly more experimental, the vocals are noticeably unprocessed. With regards to the lyrics, they give the impression of being more intricate. The first record was certainly not without complex lyrics, but most of the words felt more repetitive. On Every Open Eye, Mayberry’s lyrics on “Bury It” “And I am catchin’ up and I am seein’ red / How about I throw my way and raise it overhead,” are delicate, but still twisted in an appealing and accessible way. If one is the type of listener who is interested in amusing and danceable music, give Chvrches a try. If one is the type of listener who enjoys experimental electronica music, give Chvrches a try. If one is interested in Chvrches and was worried about this record not living up to their first, give this a record try and one will not be disappointed.